The Book Arts Association held its third wayzgoose (printing celebration) October 24-30, 2010. This six-day event includes workshops, talks, demonstrations, displays, a film, a celebration of William Coaker in words and song, and a printers’ fair. The theme of this year’s wayzgoose was "Print Culture and Protest", and the Book Arts Association is delighted to welcome special guest Amos Paul Kennedy Jr. to St. John’s. 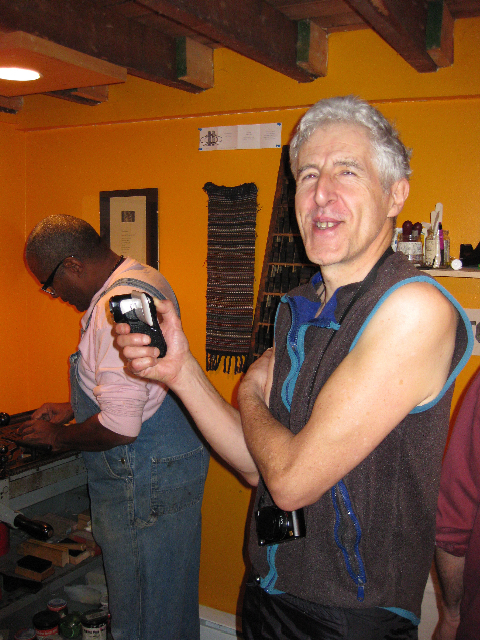 Subject of the acclaimed documentary “Proceed and Be Bold!”, Amos Paul Kennedy Jr. is a letterpress printer, paper-maker, book-builder, educator and performance artist who lives and works in Alabama. Originally trained as a computer programmer, Kennedy gave up his work with computers when he discovered letterpress printing. His printing, which addresses issues of race and gender and the accessibility of art, is bold, provocative and witty. 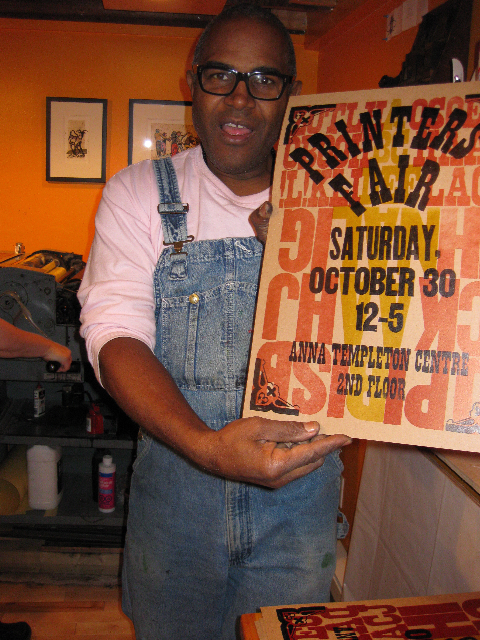 While he is in St. John’s, Kennedy will lead a printing workshop, give a talk on his work, take part in a panel discussion on print culture and protest, and participate in a printers’ fair. “Proceed and Be Bold!”, the film about Kennedy’s work, will be screened as part of the St. John’s Women’s International Film Festival. We are also delighted to welcome artist Raymond Verdaguer. Originally from Catalonia, Verdaguer divides his time between New York City and Fort Amherst, on the Southside Hills of St. John’s Harbour. His work is deeply political and compelling. His lino-cut illustrations have appeared in newspapers and magazines around the world, including Le Monde, Harper’s Magazine, and The New York Times. This workshop let participants create multiple artworks using a variety of printing techniques with colourful inks and assorted papers. A down-and-dirty introduction to typesetting and printing in the studio of Tara Bryan. Two three-hour sessions, for which participants were asked to bring a short text (quotation, haiku or limerick) to hand-set and print. A variety of examples were shown and discussed, then each person designed and printed a simple broadside using metal and/or wood type and printer’s ornaments. Verdaguer spoke about, and show examples of, his work, especially with regard to his passionate commitment to art that is ethically and politically relevant. Radical Pamphlets Display—MUN’s Special Collections Librarian Patrick Warner discussed some of the examples he has selected from the Library’s collection of Radical Pamphlets. Talk by Amos Paul Kennedy Jr.
“It’s my printing press. I can print what I want,” says Amos Paul Kennedy Jr. Controversial, challenging and always entertaining, Kennedy talked about his printing and the importance of art that is affordable and provocative. An evening of words and music celebrated Coaker and The Fisherman’s Advocate, with an informal talk by Ed Roberts; music by Jim Payne; and dramatic readings by Chris Brookes. Letterpress-printing workshop on designing and producing posters with Amos Paul Kennedy Jr.
Two three-hour sessions, during which participants worked with Amos Paul Kennedy Jr. to design and print a simple poster using metal and/or wood type and printer’s ornaments. Amos showed samples of his own work and discussed his printing. On March 5, 2007, a car bomb was detonated on Al-Mutanabbi Street, the historic centre of Baghdad bookselling district. At least 30 people were killed and 100 were wounded. The Al-Mutanabbi Street Coalition––made up of poets, writers, artists, booksellers, printers and readers––was formed soon afterwards, in response to this horrific event. The Rooms was pleased to display some of the broadsides produced by this coalition and to welcome local artist and coalition member, Tara Bryan, to share her reflections on this project. How does print culture support or extend political protest? How does protest inform the work of printers? Amos Paul Kennedy Jr. Kennedy, Raymond Verdaguer and Robin McGrath discussed the political implications of printing in various cultural contexts. The panel will be hosted by Ted Blades. An afternoon of demonstrations, displays, music and readings, with the work of printers from Canada and the United States. Readings by Mark Callanan, Mary-Lynn Bernard, Ed Riche and Tom Dawe, and a musical performance by Sandy Morris and Graham Wells. The Rooms (selections from the Al-Mutanabbi Street Collective project). Wayzgoose 2010 was presented with the kind support of the Newfoundland and Labrador Arts Council, the City of St. John’s, and Memorial University (both the Office of the Vice-President and the Faculty of Arts). Amos Kennedy's travel from Alabama was supported by the Canada Council for the Arts. 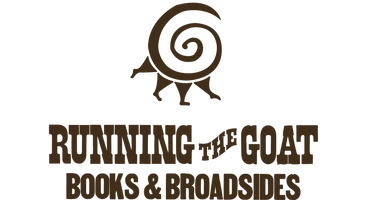 The Book Arts Association was grateful for their support, and for the collaboration of: Eastern Edge Gallery, The Rooms, The St. John’s International Women’s Film Festival, MUN’s Centre for Newfoundland Studies and Map Room, Gaspereau Press (Kentville, NS) and the Nova Scotia College of Art and Design.